Following a lot of recent Social Media interest on the subject of both cancer and hair loss, as a Trichologist, I thought my followers might like to know the facts surrounding treatment and my professional contacts that I use. Chemotherapy kills off the cancer cells and therefore inevitably other healthy cells in the body including the hair cells, which can cause the hair to start to fall out within 2-3 weeks of treatment. 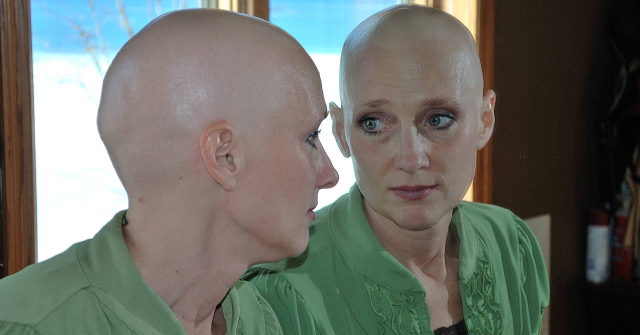 In some cases, a ‘cold cap’ can be worn during chemotherapy, to minimise or prevent hair loss. The hair loss is temporary, and in 99.9% the hair completely grows back. The time in which hair takes to regrow varies from person to person. Some people find that their hair grows back curly when before it may have been straight or vice versa! Others find that the hair is a different colour. However, these changes are usually temporary but rarely permanent. Some people decide to cut their hair much shorter or even shave their hair off as the hair starts to fall, this could give the sufferer a sense of control where so many elements of cancer take this feeling away from them. This could also lessen the upset. Some people however regardless of whether they have cancer may choose to donate their hair. My charity of preference to which I am a Patron is The Little Princess Trust . There is a strict protocol of the way the hair is cut and prepared for donation. For those who have been informed that they are not going to lose their hair than colouring can be continued during treatment provided the hairdresser has been informed of the situation. If a wig or hair piece is the desired choice, this will in no way impede the growth of the hair in future. Wigs can make people feel more confident. A good friend of mine, Hayley at Elegance in Horsham West Sussex can provide fantastic bespoke wigs that are styled and fitted to each individual wearer. She offers a very personal and understanding service, as she has suffered alopecia and therefore has first-hand experience of the degree of emotional upset that hair loss can cause. If this is of interest to you then please contact Hayley on 01403 241307 or [email protected]. Radiotherapy can cause localised hair loss. When being applied to the scalp at the site of entry and exit of the rays. Often, this can be permanent. Your Doctor will guide you on this. The condition and texture of the hair can also change. Brush your hair gently, and a hair scarf or turban could be worn at night. As with all hair loss and scalp conditions I am on hand to diagnose and treat most conditions. Please contact me on [email protected] or 01444 448082 for further details.